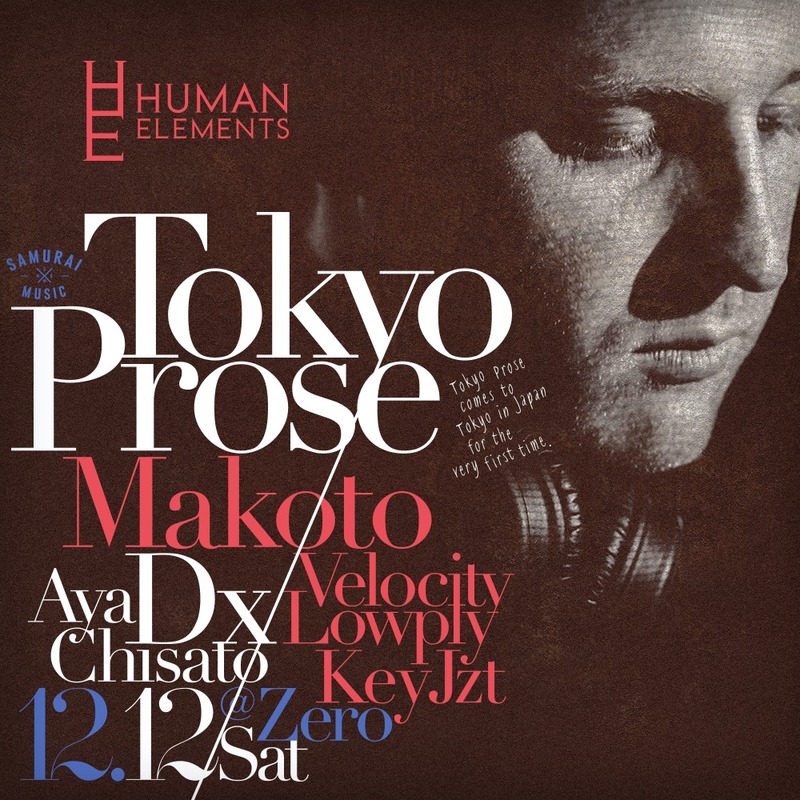 Long run musical Drum&Bass night in Tokyo – Human Elements is proud to announce that we have Tokyo Prose (Samurai Music, Soul:r, Hospital) from New Zealand as a special guest on 12th Dec 2015. You can expect some the Tokyo Prose sound, whilst covering a lot of ground, always seeks to maintain a soulful, deep and polished aesthetic with a firm focus on musicality and groove. Line up goes on strong, we have Tokyo’s one & only Makoto, DX from Soi, Velocity from HE:Digital, Lowply, JZT and Key MC. Also Aya and Chisato who are young delightful female DJs in Tokyo.